Over the past four years, Bethesda Terrace residents Joan Howarth and Milt and Aldy Herrick have developed a strong bond that has made each other’s lives more fun and fulfilling. Joan is from the St. Louis area, while Milt and Aldy spent most of their lives in the wide-open spaces of the Dakotas. But fate brought them together at Bethesda Terrace, an independent retirement living community located in Oakville, Mo. A matching wry sense of humor made them all fast friends. Now they couldn’t imagine life without each other. Bethesda Terrace Residents Joan, Aldy, and Milt celebrate National Friendship Day. The three have a standing date to eat all their meals together. They also enjoy adventures to area casinos, shopping centers, parks, and occasional trips during the summer to a swimming pool. Joan, Milt, and Aldy were counting on the security, simplicity, and ease of independent living. But when they moved to the Bethesda Terrace retirement community, they weren’t counting on finding a new best friend that made their lives more fun and fulfilling. National Friendship Day is celebrated on the first Sunday of August. On this day, people spend time with their friends and celebrate the bond of friendship. Regardless of age, a friend can be one of life’s greatest gifts. 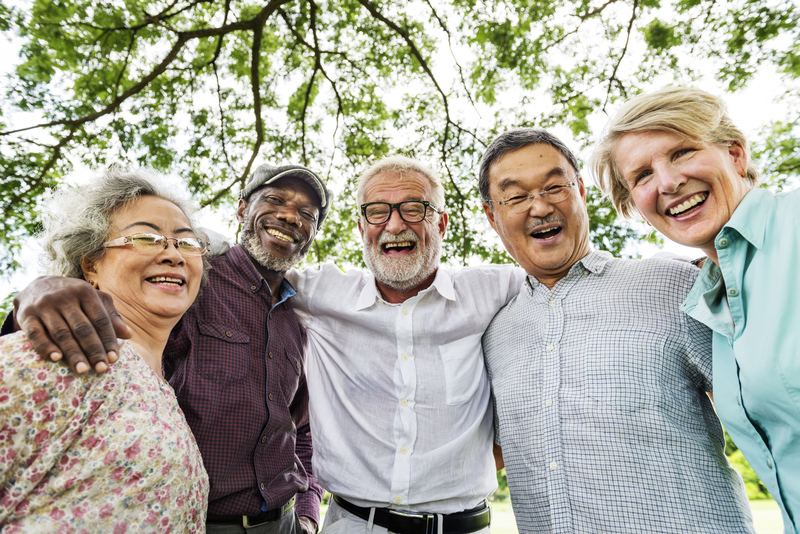 Seniors make the move to senior living communities for a variety of reasons, but they may not expect the newfound friendships. Joan said that after a couple of falls in her home, she knew it was time for a move to an independent retirement living community, where she could live a simpler and safer life. But she was still apprehensive. Meeting Aldy and Milt took the fear away. Suddenly, instead of worrying about the future, Joan found herself looking forward to it. Instead of being isolated in a single-family home, worrying about maintenance and upkeep, she was looking forward to adventures with her new buddies. Spending time with people of similar ages who are at a similar time in their lives makes it easy to find new friends. Moving to an independent living community can be stressful, and many seniors are unsure about making new friends. Seniors are surprised just how easy making friends at a senior living community can be. Here at Bethesda, we recognize the importance of senior companionship and socialization. Independent Retirement Living communities, like Bethesda Terrace, offer a full calendar of social events and activities for our residents to stay active and make new friends. Tour an Independent Living community near you to learn more. Happy National Friendship Day from Bethesda!